In 2014 I had the opportunity to travel to Cuba with an artists to artists cultural exchange group, from LA to Havana. While in Havana, a shot a lot of photos, I wish I could have taken thousands more. 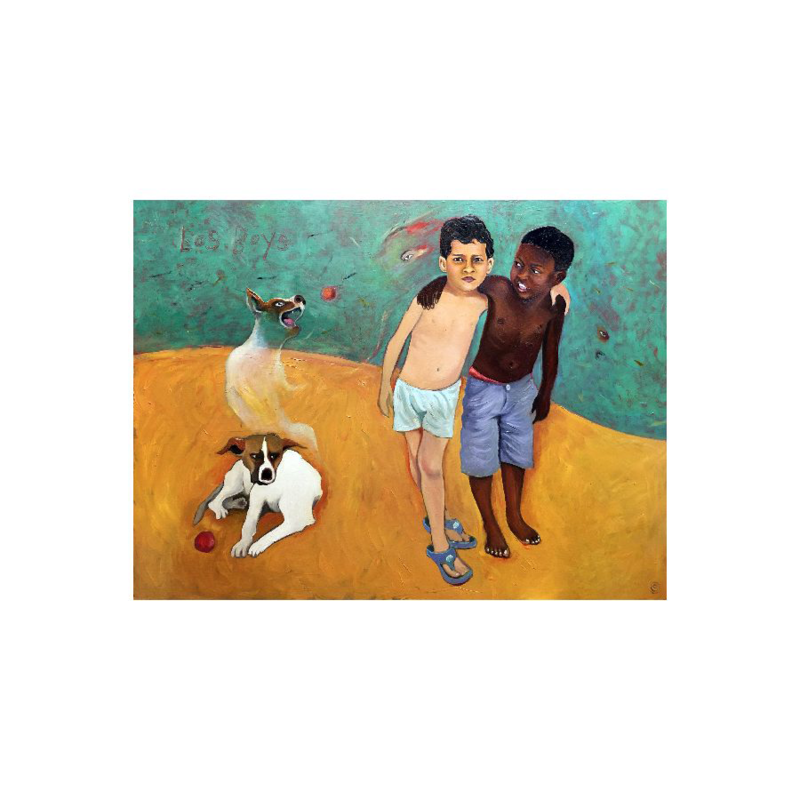 This painting was created from a photo of a group of boys I discovered while walking the streets in Old Havana. 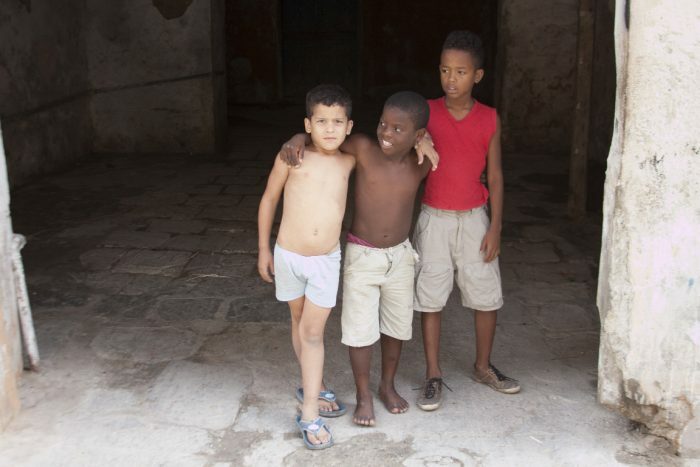 They were playing under a shady overhang along a side street, and I stopped to ask if they would mind posing for a photo. They paused their playing for a moment, slinging arms over each other while I grabbed this shot. The boy looking at the camera seemed a bit uncertain of my intentions, some batty American lady wants a photo of us? I tried to retain his look of skepticism, while also expressing a feeling of arrested movement and the personality of the boys. Here is the original photo, you can see I changed it up a lot. 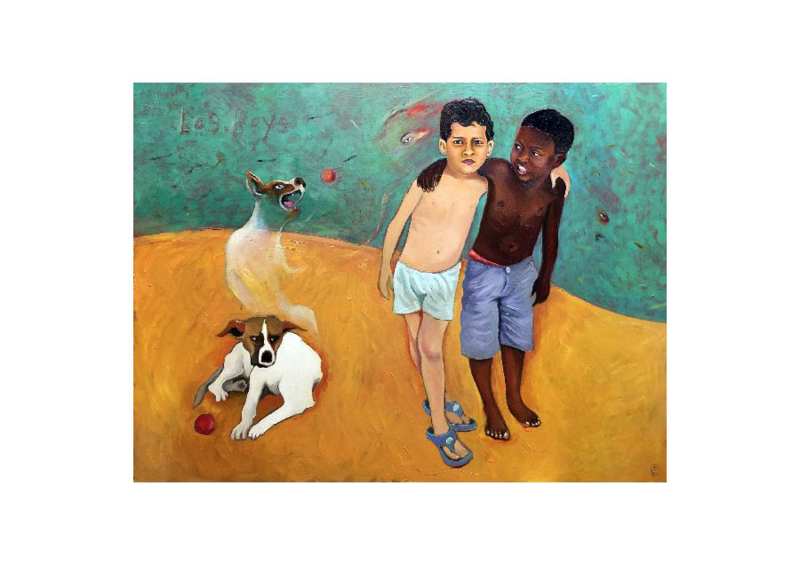 The painting, Los Boys, is 24″ x 18″ oil on wood. Available in my studio.